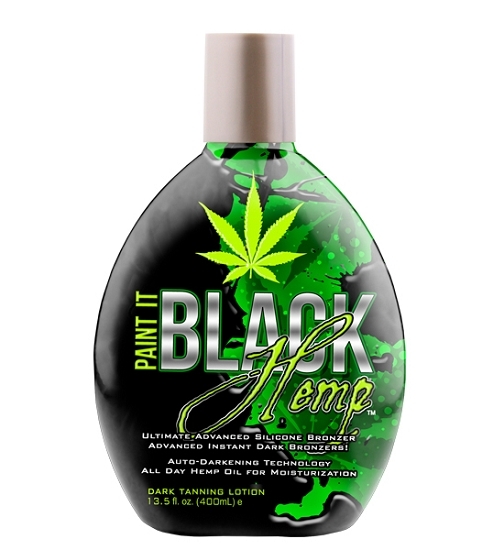 Product Description: Paint it Black bronzer is now available with a Hemp Seed Oil infusion. Unique auto-darkening technology delivers extreme dark bronze tanning results through its luxurious Hemp Seed Oil emulsion blend. Experience stunning dark tan color and ultra moisturization that lasts all day.